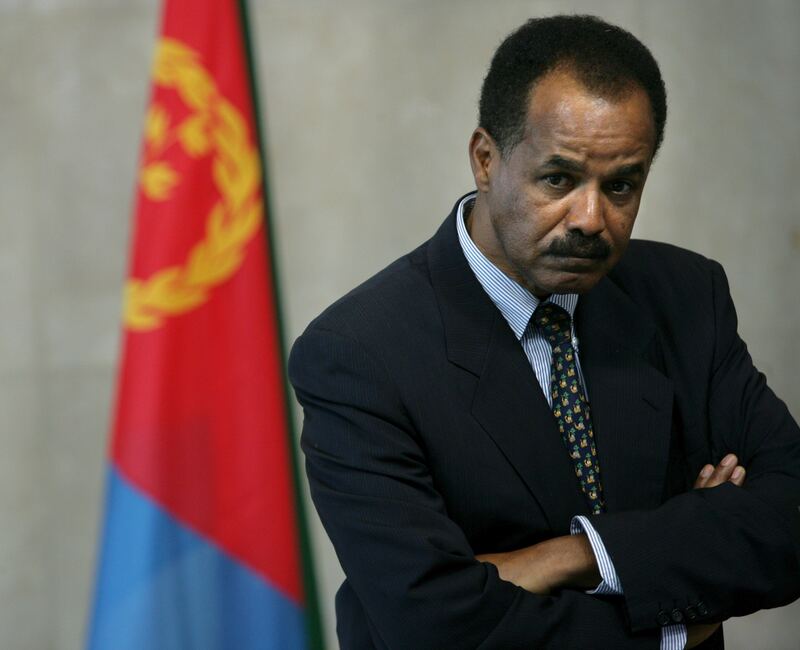 Temesghen Debesai decided to flee the East African nation of Eritrea in 2001. A prominent broadcaster on state television, he wouldn’t have a chance to follow through for five years. Born in what was then a province of Ethiopia, Temesghen spent much of his childhood in Saudi Arabia before returning in 1992 amidst the euphoria over Eritrea’s imminent independence after decades of war. 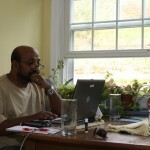 Six years later, he went to work for Eritrean state media. 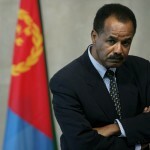 Temesghen was untroubled by the rule of President Isaias Afewerki for years. “I didn’t have a lot of question marks as to how the government was running the country,” he says. 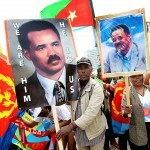 “Generally Eritreans were not really interested in the political structure of the country. 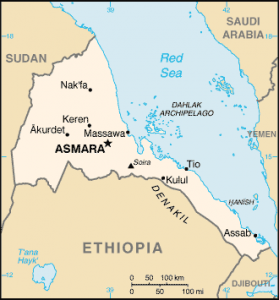 But Eritrea changed in the wake of the country’s 1998-2000 border war with Ethiopia, which left tens of thousands dead in fighting over a few miles of sparsely-populated terrain. 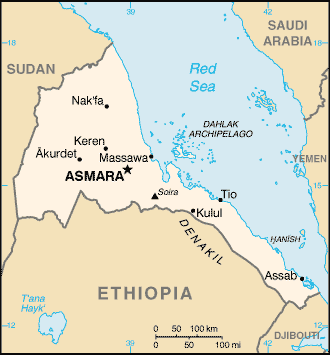 In 2001, Afewerki began a major crackdown. His government began jailing thousands of political prisoners, including 15 senior officials from his own regime. 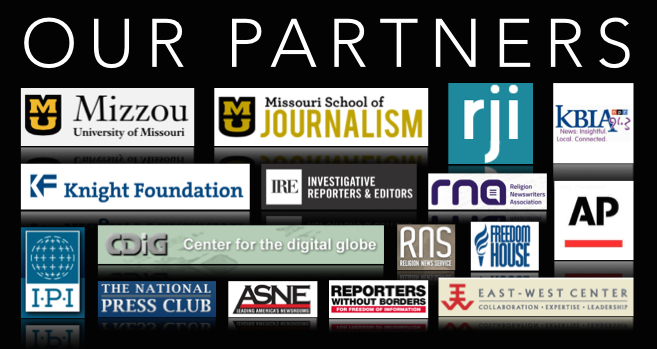 It shuttered all independent news outlets and imprisoned numerous journalists and publishers. 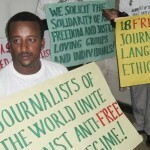 “That was the end of free press as we knew it in Eritrea,” Temsghen says. As a state media reporter, he was relatively safe. But he knew he had to get out. That’s no easy task in a country that was becoming what Human Rights Watch once described as a “giant prison” and where border guards follow a “shoot-to-kill” policy for those trying to emigrate. Further, Temesghen’s flight would be embarrassing to the regime. As a prominent figure on state-run Eri-TV, he had interviewed Afewerki eight times as well as international figures like former U.N. secretary general Kofi Annan and former U.S. defense secretary Donald Rumsfeld. But in 2006, his opportunity came in the form of a government-sponsored trip to Bahrain for a broadcasting workshop. 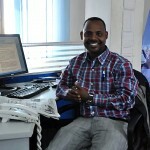 Temesghen, now 40 and a freelance journalist in London, told Global Journalist’s Steve Dawson of his journey. 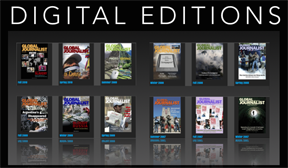 Global Journalist: As a state-media reporter in Eritrea, were you allowed to travel more freely around the country than most people? Temesghen: That’s absolutely true. Let me define what “freely” meant. It meant I had special certifications that others didn’t have. I still had to produce papers because the number of checkpoints in the country are unbelievable. There are military police roaming the streets in the capital city and everywhere else. And wherever you go you need to have your papers to prove to people you’re allowed to be there. So yes, you’re very limited to where you roam around unless you have the correct papers to show. GJ: How did you come to the decision to leave? Temesghen: Since 2001, I realized I had no option but to lay low in a way that wouldn’t bring attention to myself. I was essentially waiting for a window of opportunity to leave. Because I worked for the government, I was optimistic that sooner or later they would send me abroad for a week or something for a story or maybe for training purposes—that was the only way out because people are not allowed to leave the country. There is a “shoot to kill” policy if anyone is caught crossing the borders into Ethiopia or Sudan. So that was not an option for me. It took another five years before I got my first break—it was my very first trip on a government mission. GJ: Did you talk to friends about your plan to escape? Temesghen: I knew about the trip a couple of months in advance. It gave me enough time to start contacting my networks. Growing up abroad before going back to Eritrea really exposed me to a broader network of people than if I stayed locally my whole life. So that’s how it started, we were scheduled to go to Bahrain for a week in September 2006. I didn’t tell my three colleagues I was traveling with, however. I didn’t want to make them accomplices to my escape. GJ: What were some of the most difficult moments during that week in Bahrain? 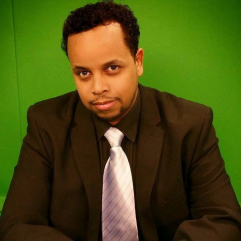 Temesghen: The four of us stayed in a four-star hotel to attend a TV and radio workshop. We were greeted by a member of the Eritrean consulate who took us to the hotel. There we had to hand over our passports, which added to my concern. How am I going to get my passport now if I need to slip out? 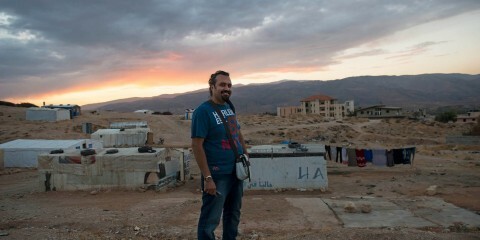 As luck would have it, I was the only one who spoke Arabic in our group of four and sort of became the leader. On the third day, the front desk at Bahrain Radio and TV said one us needed an I.D. to show them when we visit the station. Our passports were kept at the front desk of the hotel where we stayed. I asked the consulate if I could ask the hotel to give me my passport back. The worst day was getting to the airport in Bahrain. I was going to London, because at the time my wife was living there and pregnant with our child. I was worried about airport officials stopping me— perhaps the Eritrean government had contacted them somehow? This is the type of paranoia you live with in Eritrea. I didn’t know what they had on me. I just walked through the gate and thought: “Did that actually just happen? I am out! I am free!” Up until then, in my mind, I wasn’t free. I slept for a couple of hours on the flight to London. When I woke up, I felt like I was waking up from a nightmare. I couldn’t believe it was really happening—it was too good to be true. After so many years of being afraid under this brutal dictatorship, I’m finally breaking through the chains of tyranny. GJ: You speak out about Eritrea frequently. What do you see happening in the future? Temesghen: It renders me speechless to say that the Eritrean government still has pockets of supporters. That number is dwindling by the day because more and more people are beginning to see the truth. 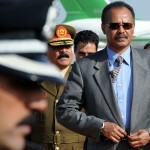 I hope the best for Eritrea in the future, but that hope hinges on a regime change. The current president has to go. He’s 71 now, and I’m not sure how confident the rest of his team would be to carry on if he were to go. 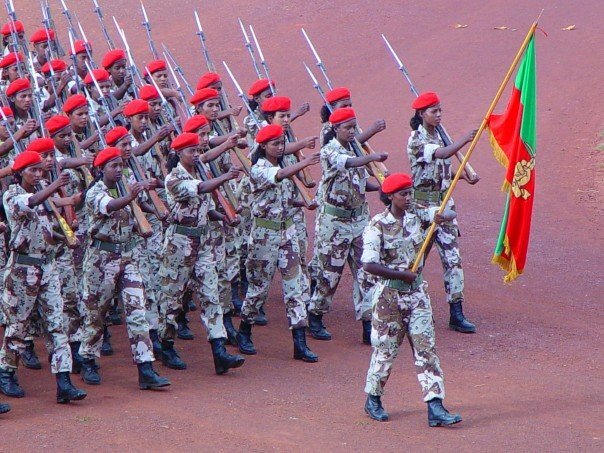 In 1991, freedom fighters came in [after the independence war with Ethiopia], elected themselves into government office without an election, and we’ve been stuck with them over since. Eritreans have a rich culture of tolerance and respect toward one another. I hope that social fabric will still carry us across the finish line when this government is gone. I’m hopeful. Correction: An earlier version of this article said that his hotel in Bahrain requested a copy of his passport. It was Bahrain Radio and TV. 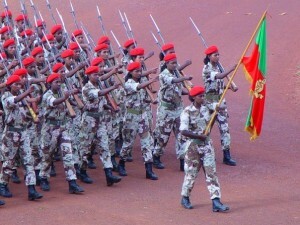 An earlier version also incorrectly stated that he was conscripted prior to working for Eritrean state media.